Gerold Niggemann is an associate in Hughes Hubbard’s corporate department. His practice focuses on both domestic and cross-border mergers and acquisitions, joint ventures, venture capital and general corporate matters. 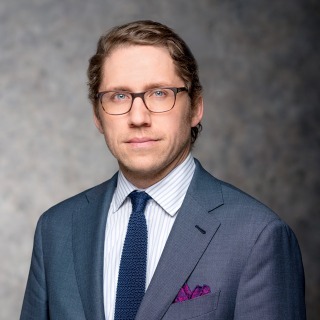 His experience includes representing both strategic and financial investors in public and private mergers as well as stock and asset acquisitions and divestitures in the United States and a multitude of international jurisdictions. Prior to joining Hughes Hubbard, Gerold was an associate with Cleary Gottlieb Steen & Hamilton LLP in New York and Frankfurt am Main, Germany.